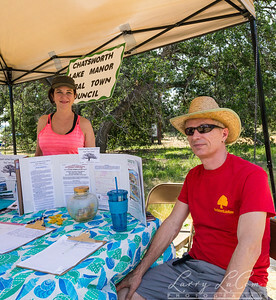 Chatsworth Lake Manor Town Council's table to gather petitions opposing the Andora Estates development. This was on Earth Day, the day Chatsworth Lake is opened to the public for guided tours. Rebecca Rotter (L) and Robin Hild (R) ask passersby if they want to sign the petition. 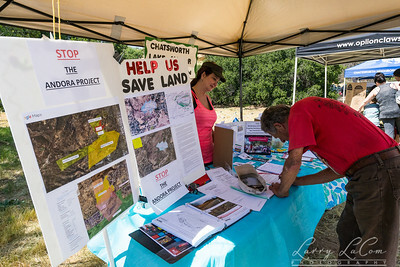 Chatsworth Lake Manor Town Council's table to gather petitions opposing the Andora Estates development. This was on Earth Day, the day Chatsworth Lake is opened to the public for guided tours. Rebecca Rotter (L) and Robin Hild (R) help a neighbor fill out the petition. 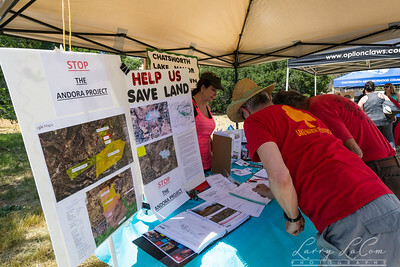 Chatsworth Lake Manor Town Council's table to gather petitions opposing the Andora Estates development. This was on Earth Day, the day Chatsworth Lake is opened to the public for guided tours. Here a neighbor signs the petition while Rebecca Rotter looks on.